We choose our green beans based solely on quality and flavor, and then roast each varietal to its Optimum Flavor. Freshness is critical to coffee flavor. In order to ensure the freshest coffee, our coffees are roasted to order, not in advance. Then, it's immediately packed and sealed in kraft bags. All of our coffees are roasted to order and are available for delivery or shipping in 1-2 business days. Each coffee growing region varies greatly due to variables such soil conditions, elevation, and rainfall. Additionally, processing methods (such as wet or dry) can effect the bean. Consequently, each bean varies in size, moisture content, density, etc. That means, in order to ensure great quality, each coffee batch must be roasted individually to maximize its unique flavor. At LONE OAK Coffee Co we track the effects of roast variables such as heat, airflow, and bean temperature over time. We cup each of the resulting factors for taste until we find the perfect roast profile for each coffee varietal or blend we offer you. All coffees are roasted fresh to order. Please call or email us to discuss your particular needs. · Terms: Prepaid or COD per order is preferred. 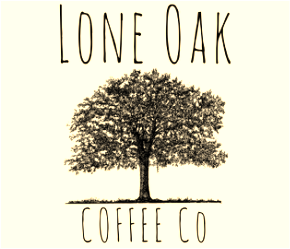 If you are interested in a wholesale account or have any questions, please contact our sales department at 540-905-8991, email us at loneoakcoffeesales@gmail.com or click the button below. Either way, we will get back to you as quickly as we can. Thank you!